UK TV ABROAD | The BBC's commercial arm has announced it's launching BBC Earth across Asia in October. BBC Earth is the international factual channel brand from BBC Worldwide and is set to replace BBC Knowledge on TV platforms across the region from 9pm Hong Kong Time on 3rd October. The move is part of BBC Worldwide's long-term plan to launch new style BBC channels around the world. It's gradually replacing old channels BBC Entertainment and BBC Knowledge with the likes of BBC First, BBC Brit and BBC Earth. 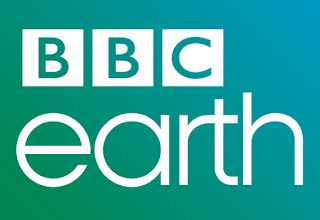 The announcement that BBC Earth is to launch in Asia follows reports in the media this week that shows that there is a clear demand for BBC programming around the world, especially in Asia. Global Web Index data, first released in Nov 2014, but given a new lease of life in media reports this week, showed that millions of viewers access the iPlayer abroad using VPNs to sidestep the geo-block that restricts international access to the iPlayer. Research suggests there's an estimated 38.5 million users in China alone. And piracy in Australia hit the headlines again this week, with residents in the country well known for using VPNs to access content, including programmes on the iPlayer, that they can't access using traditional methods. Using the iPlayer abroad is against the terms and conditions of the site, as the BBC doesn't possess the copyright for all of its programmes in other countries, one of the reasons why it's international channels have different line-ups in different parts of the world. Usage of the iPlayer is due to come under the banner of the licence fee, subject to the outcome of the BBC's Charter Review, but many expats say they would be willing to pay towards watching BBC content around the world.